Hall Tables in solid wood are hard to find. 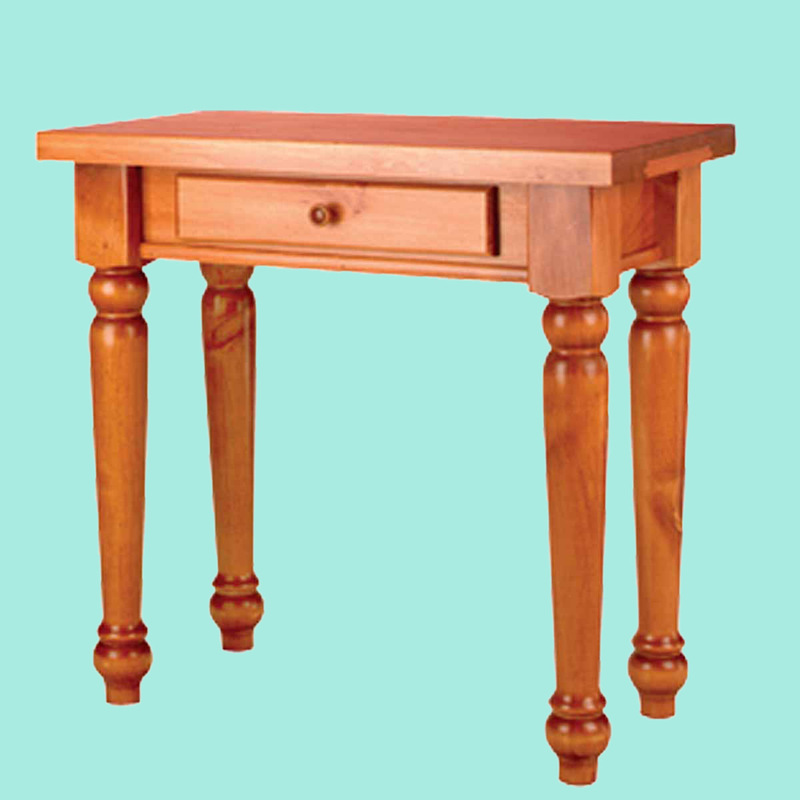 Purchase your Hall Tables here. Wentworth Hall Table 28 3/4 H x 30 W x 16 proj. Measures 28 3/4 H x 30 W x 16 proj. 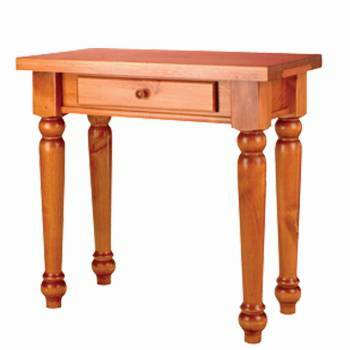 Wentworth Hall Table. Our popular Wentworth design features skillfully turned legs, thick solid pine construction and a fine hand rubbed Heirloom Pine stain finish. Handy drawer is perfect for storage. This hall table measures 28 3/4 H x 30 W x 16 proj.